It’s estimated the average adult makes approximately 35,000 choices each day. Many of them are made with little conscious thought. 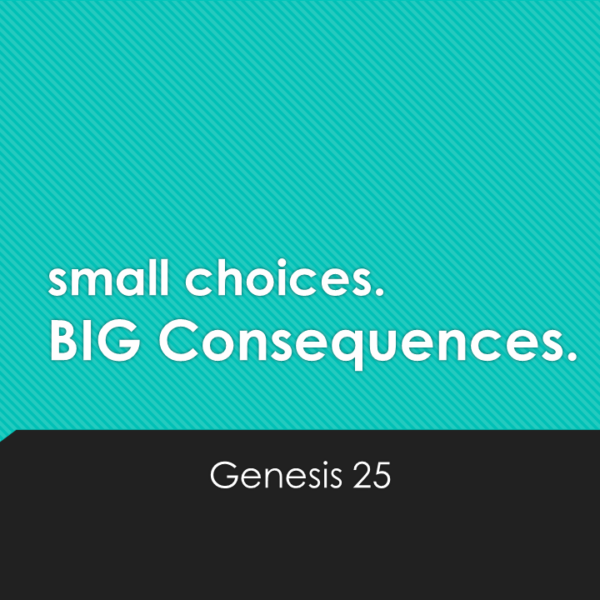 But there many you face today that seem like small choices that may have big consequences for tomorrow. Wait for what God has planned for our best. 1 Corinthians 10:13 gives us great encouragement when we face temptation to sin or are going through difficult trials. You are not the only one. We are all tempted and we all endure trials. God is faithful. You can count on Him. It’s not more than you can handle. There’s a way out of this or a way to endure it. Then choose godliness and the long-term blessings of living like Jesus instead of simply trying to feel better.